Rudolf Beese is a partner in Dentons' global Real Estate group, practicing in the areas of corporate, energy, real estate and construction law. 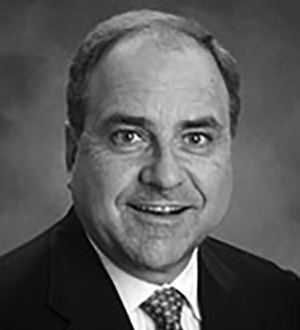 With more than 30 years of extensive experience, Rudy advises clients on a broad spectrum of complex domestic and international projects, financings and related corporate initiatives. In his practice, Rudy advises clients on all aspects of real estate deals, from purchases and sales to leases, project development and operation, as well as financings and related disputes resolution, where necessary including mediation, arbitration and litigation. Rudy's experience also extends to the creation, development and operation of a broad portfolio of industrial, commercial, office, retail, hospitality entertainment, residential and mixed-use developments, along with other asset types, and the formation and negotiation of complex joint ventures for purposes of developing, financing, constructing, leasing and/or operating such projects. He has worked directly with his clients seeking a wide array of project incentives and entitlements in negotiations with various local governments in the course of site selection and the development of new or expanded facilities. His clients are active in a variety of locations worldwide, with operations in the high-tech and power sectors as well as the software, financial services, renewable energy, life sciences and biomedical technology sectors. Rudy has led significant projects of varying complexity, cost and scale, evaluating oftentimes multiple sites in multiple geographies. His representation of owners and developers has been complemented by representation of various other stakeholders, among them financial institutions, contractors and design professionals such as architectural and/or engineering firms, surveyors and other professionals involved in the development and construction process. Rudy's capabilities are complemented by extensive experience with construction contracts and agreements for the siting, development, entitlement, construction and ownership or leasing of facilities through integrated approaches to project documents. Examples of such agreements include preconstruction services; engineering, procurement and construction (EPC) contracts; design/bid/build construction contracts; design-build agreements; and public-private partnership (P3) arrangements, among others. He is experienced in municipal finance transactions; developments utilizing tax credit funding; and the formation, financing and operation of various quasi-governmental entities that can contribute to successful project development and redevelopment, among them innovative sources of funding for relevant projects such as transportation development districts (TDDs), tax increment financing (TIF) and community or neighborhood improvement districts (CIDs and NIDs). Rudy has also integrated the use of industrial revenue bonds (IRBs) or economic activity bonds (EDRBs) on suitable projects to achieve property, sales and income tax relief, or to provide for payments in lieu of tax (PILOTS). He is listed in the Red Book, and has advised governmental units, as well as those who deal with governmental units, on various government incentives, entitlements and/or financing issues.